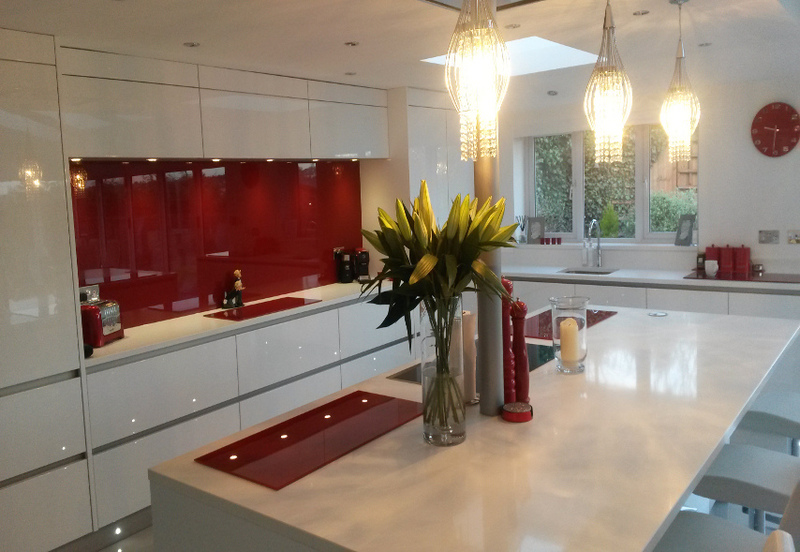 Some great looking images sent in by our customers Ricky and Kym Flynn. 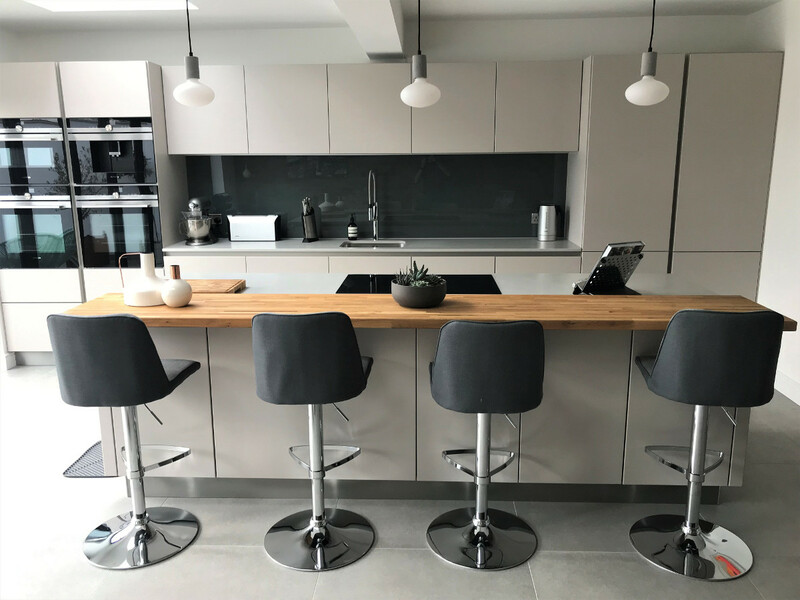 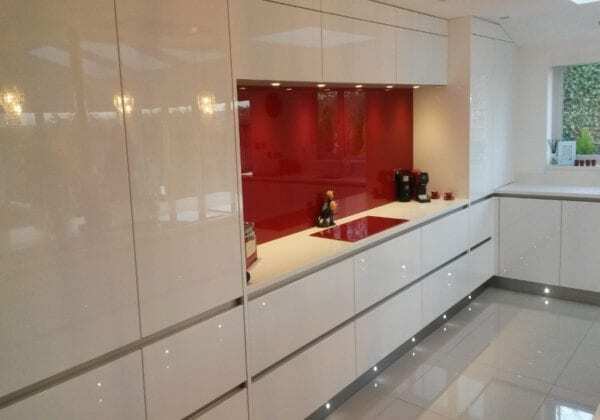 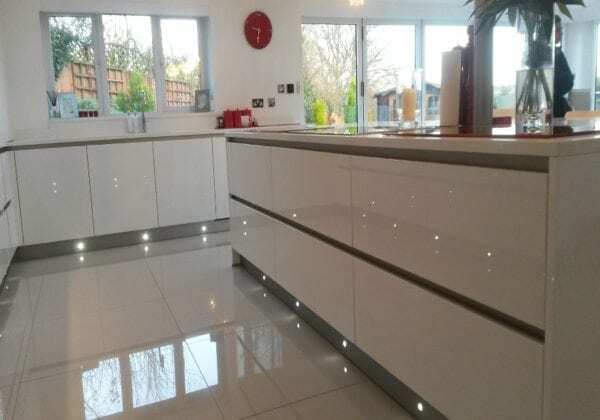 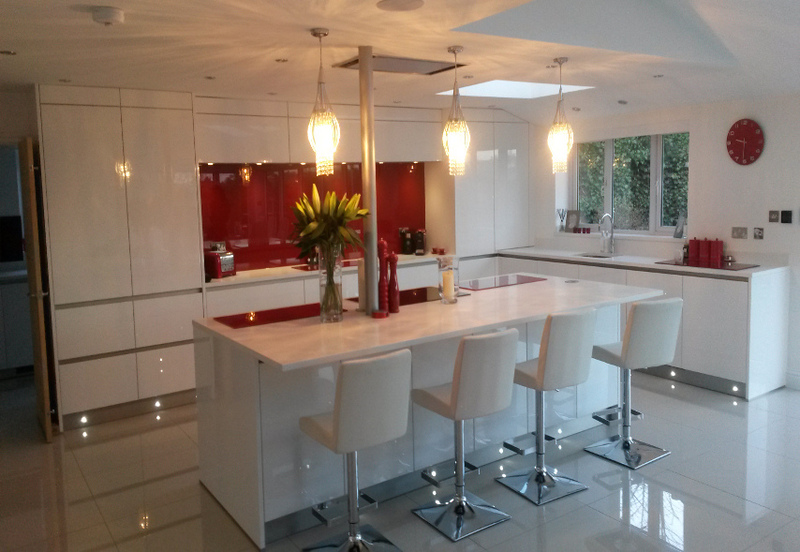 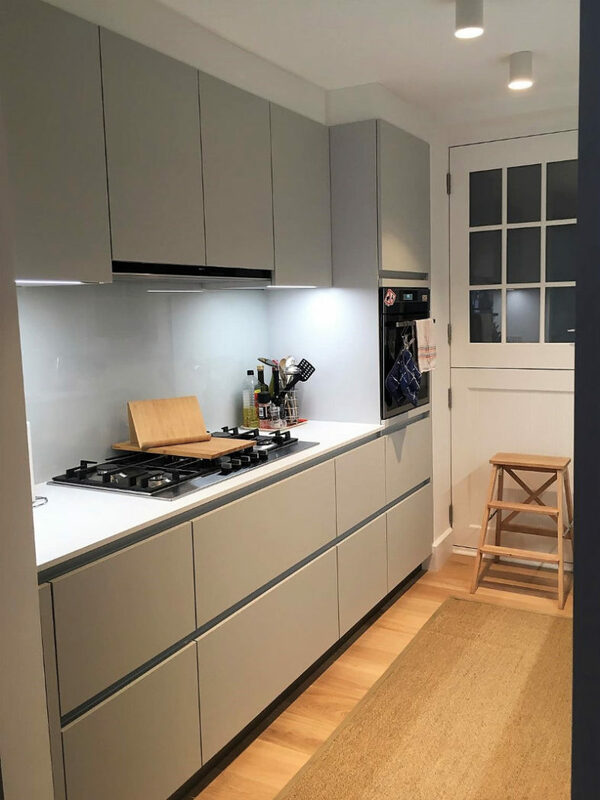 They chose Crystal white in high gloss lacquer from the Next125 range with Absolute blanc 30 mm composite stone worktops. 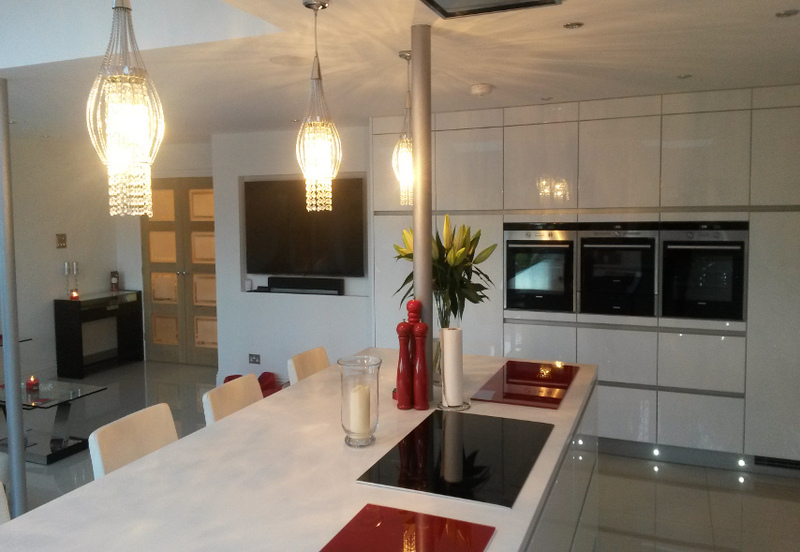 The island is centred with equal gaps all around, with ceramic hob on one side and seating for 4 people on the other. The wall units are short height at 375 mm with 2 built in led lights in each one. Like this kitchen? Want this kitchen?